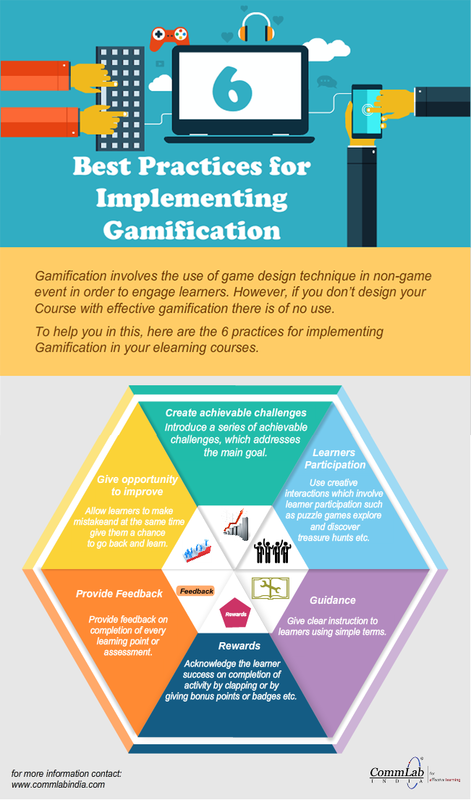 Gamification – the hottest corporate training trend. According to a study conducted by Ambient Insight, the market for learning games reached the $3,912 million mark in 2012. It is likely to register a compound annual growth rate (CAGR) of 18% between 2012 and 2017, and this means revenue is expected to reach $8,958 million in 2017. But, how can companies make the best use of gamification? What does it take to build a good gamified online course? Well, you need to focus on 6 key aspects. Let us see what they are. Hope you liked this post. How do you use gamification? We’d love to know.